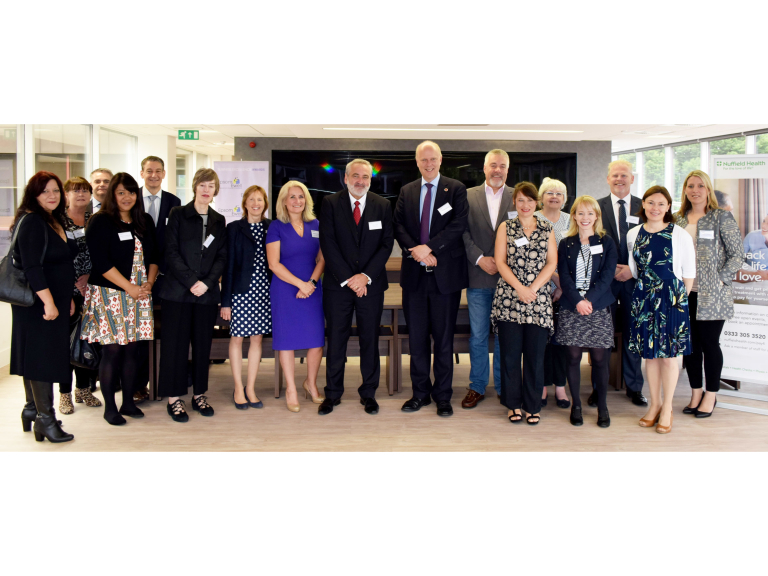 MP Chris Grayling launched the 2016 Epsom & Ewell Business Awards at Nuffield Health headquarters on Epsom on Friday 1st July. The Awards were established by the Rt Hon Chris Grayling to recognise and showcase the success stories of businesses and individuals within the local area of Epsom & Ewell including Ashtead, Nork and Tattenhams. Entrants can compete across nine different categories. There will also be an award for the Best Overall Business. The closing date is 30th September; winners will be announced at an awards ceremony on the 17th November at the University of Creative Arts. Prizes include a tour of the House of Commons, £1000 worth of radio advertising (courtesy of Radio Jackie) and membership to Surrey Chambers for the Overall Winner, membership to thebestof Epsom & Ewell for the Best New Business and a whole host of other prizes for category winners. Full information on award categories is available from the awards website www.epsombusinessawards.co.uk . Entries and nominations are made online. An independent panel of judges with local business expertise will select the winning entrants who will receive trophies and certificates at the Awards reception. For further information please visit www.epsombusinessawards.co.uk or email enquiries@epsombusinessawards.co.uk .